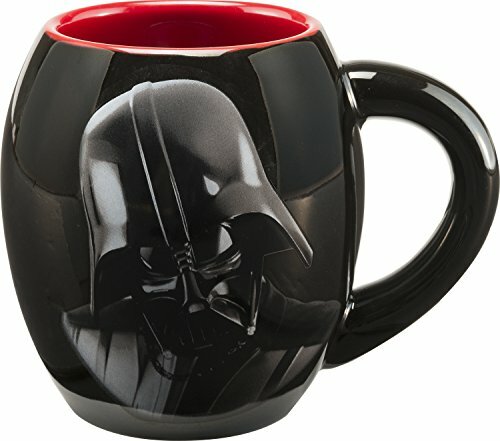 One great way to show your love of the Star Wars saga is with your own special Star Wars Coffee Mug! 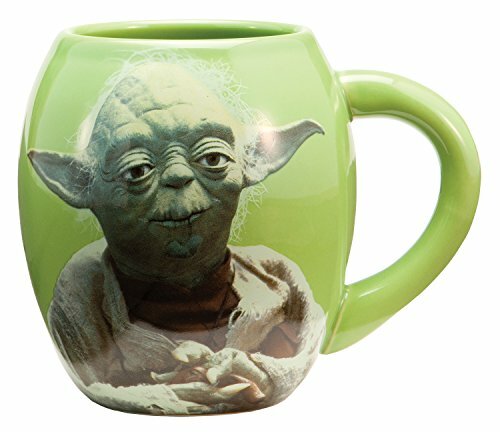 Star Wars Day is quickly approaching on May the Fourth, which is the perfect time to break out your brand new Star Wars themed coffee or tea mug. 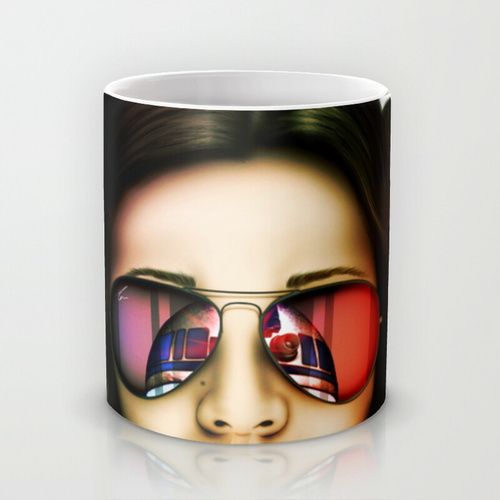 Even if you work at a conservative business, you can usually get away with a little bit of self expression through your choice of coffee mug. 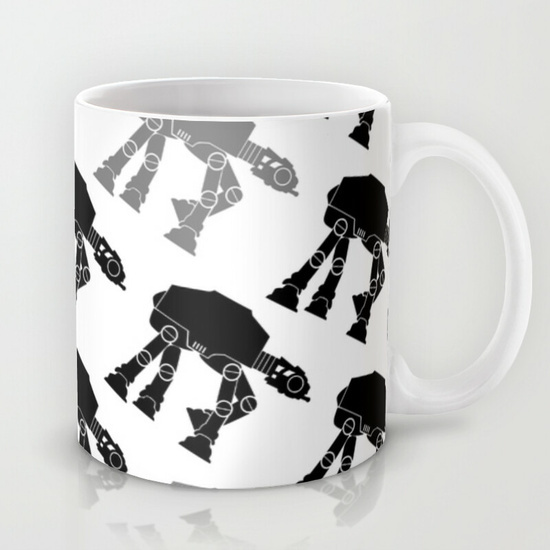 So bring out those Star Wars Coffee mugs on May the Fourth! 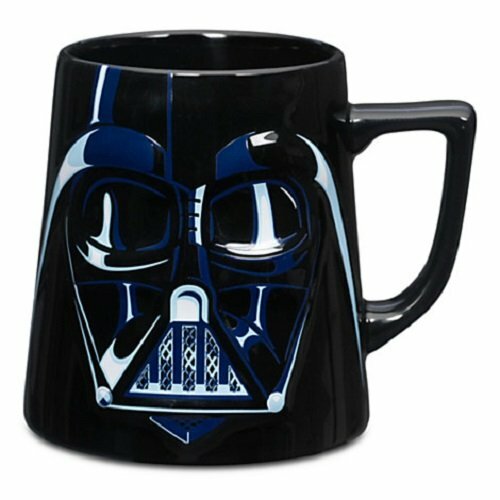 The Star Wars Darth Vader Self Stirring Mug is one of the most popular Star Wars themed coffee mugs and makes a great gift idea for a coffee drinking Star Wars fan. 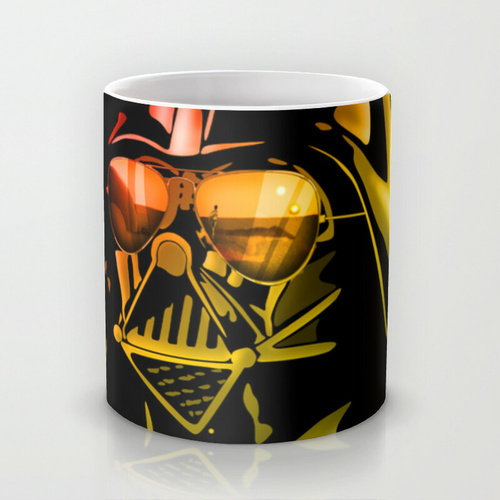 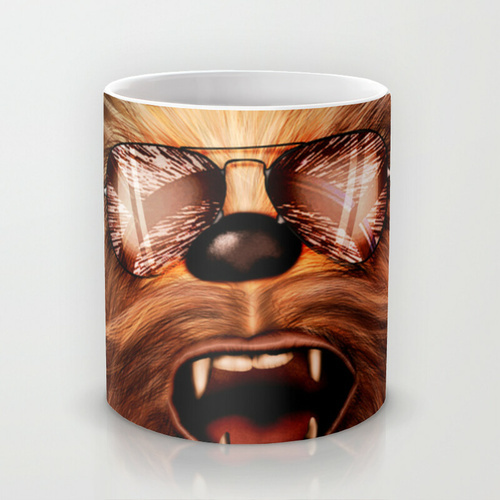 Coffee mugs are available that feature just about any Star Wars character or logo. 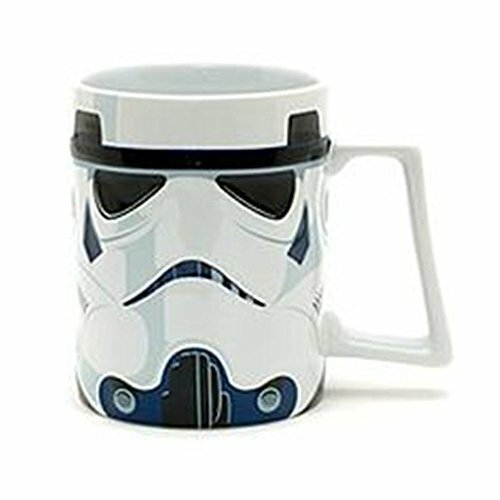 Darth Vader, Yoda, R2-D2, and Stormtroopers are some of the most popular iconic Star Wars characters and they all have their own coffee mug variants. 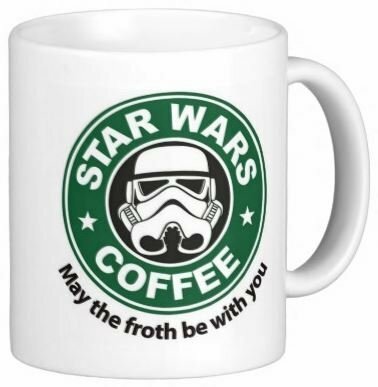 A spin on the iconic force saying, the “May the Froth Be With You” Stormtrooper Starbucks hybrid mug is one of my favorites from this list. 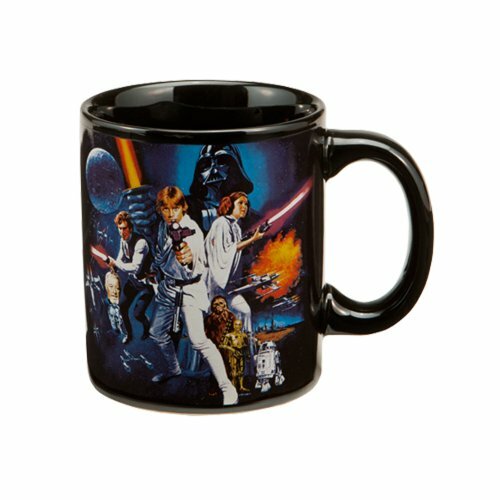 There are Star Wars mugs that also showcase scenes from the movies and mugs that depict poster images as well. 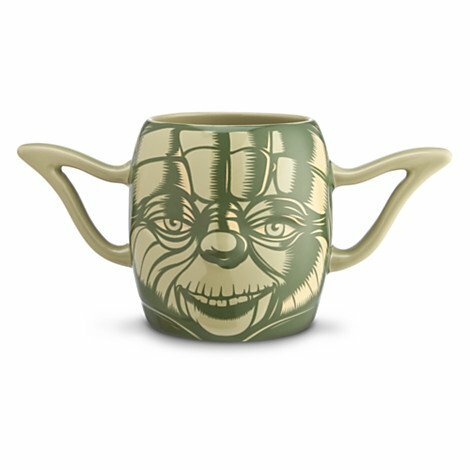 There are also a lot of 3D style contoured Star Wars coffee mugs which are a bit more detailed than your typical coffee or tea mugs. 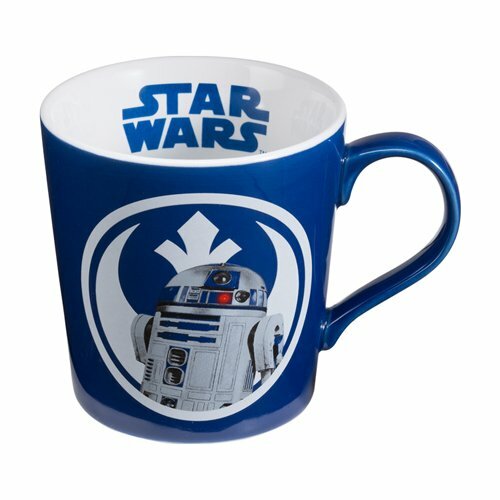 One of the best of the 3D style Star Wars coffee mugs is the R2-D2 mug created by Disney that is pictured below. 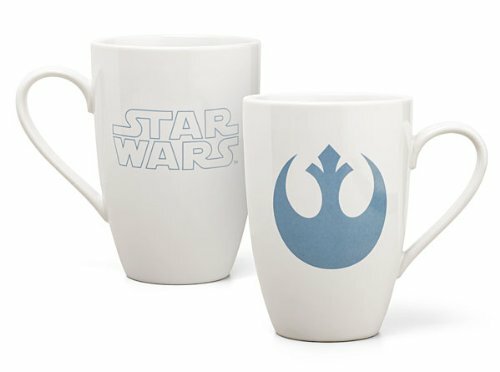 The whole line of Disney Star Wars mugs are high quality and look excellent! 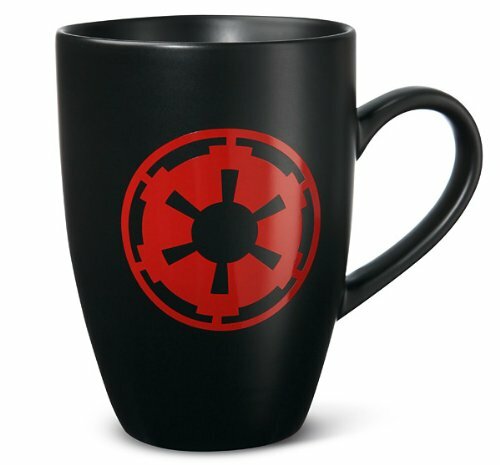 You can also choose to represent the Empire or the Rebel Alliance with the iconic logo mugs. 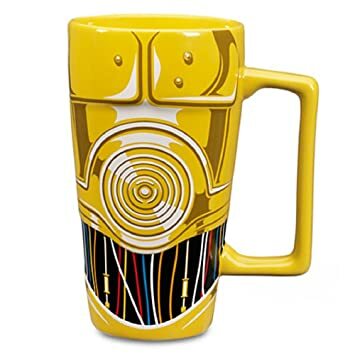 I really like the taller C-3P0 and Chewbacca mugs for a different spin on the traditional coffee mug or tumbler. 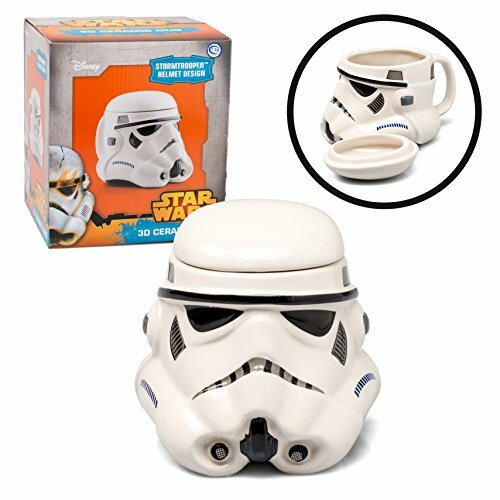 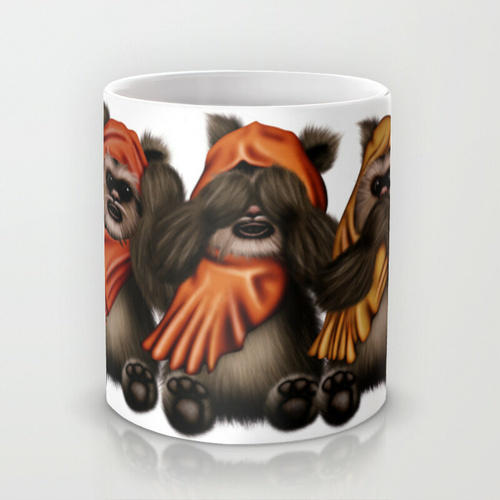 Even Jawas, Ewoks, and AT-ATs have their own Star Wars themed coffee mugs. 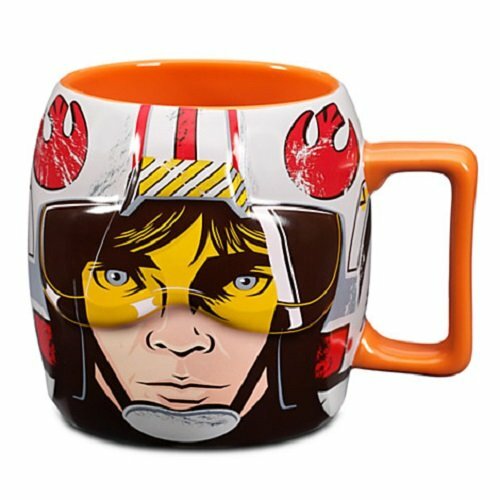 Star Wars themed coffee mugs and Star Wars character mugs make great gift ideas for fans of Star Wars that also are coffee lovers. 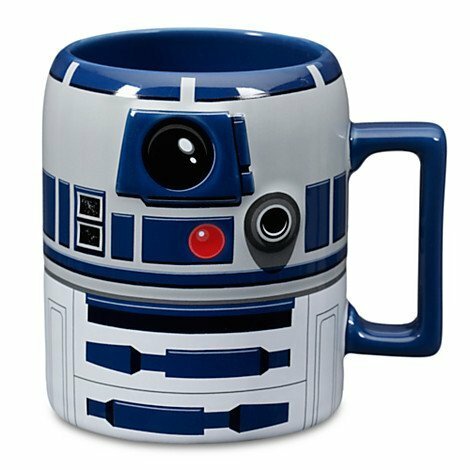 They are great gift ideas for anyone hosting a Star Wars Day party and make good ideas for starting building a gift basket for a Star Wars fan, for a Father’s Day gift idea, or even Christmas stocking stuffers. 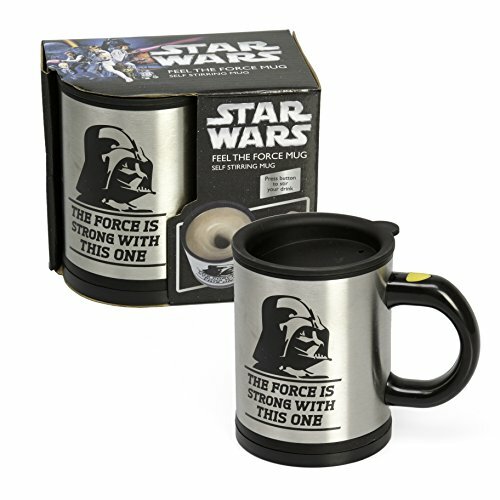 They can even be a great gift from a Secret Santa or an idea to build a Star Wars themed gift basket for your Star Wars loving secretary on Administrative Assistants Day, especially if you pair the mug with other gift ideas for coffee lovers. 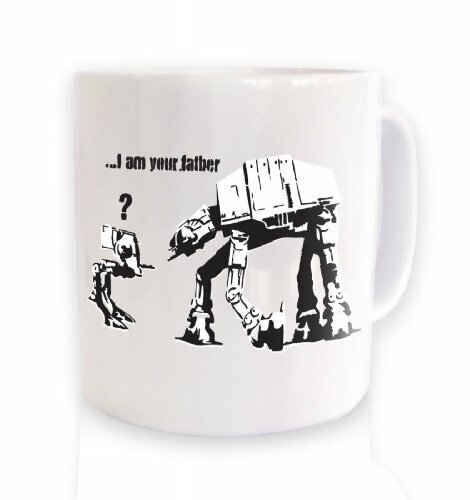 Check out our growing list of other Star Wars gift ideas too! 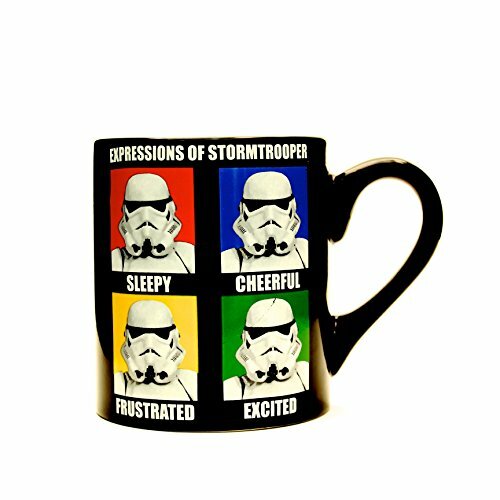 You can keep up to date with our gift ideas by signing up for the mailing list – we don’t spam & we won’t sell your details on either. 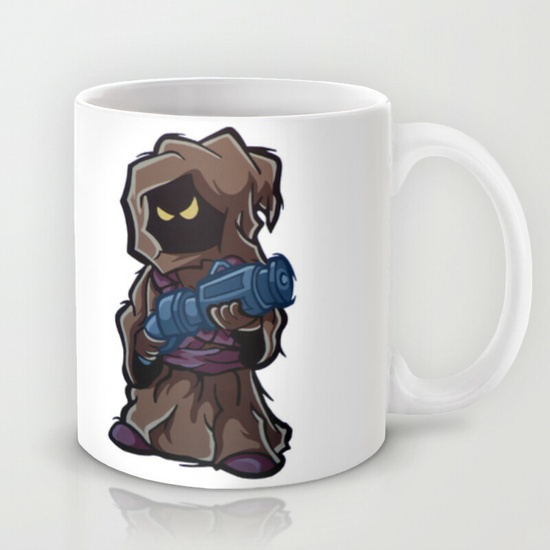 Or if you prefer to keep up to date via Facebook, you can give us a like on our Gifts For Gamers And Geeks Facebook page. 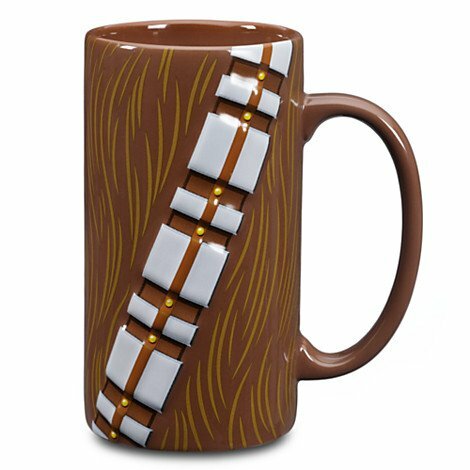 Come back soon for more Star Wars gift ideas!